Today’s church can be renewed by listening to yesterday’s saints. The CSB Ancient Faith Study Bible features study notes and commentary from the writings of the church fathers of the second through fifth centuries to help you understand and apply their rich, biblical insights to your life today. Also included are “Twisted Truth” call-outs describing where some ancient thinkers drifted from orthodoxy, over 25 feature articles highlighting a key selection from one of the early church fathers on an essential Christian truth, and biographies of 25 of the most influential church fathers. Currently available exclusively at LifeWay.com. Available everywhere Fall 2019. Learn more or pick up your copy today. God’s Word is filled with wisdom, but understanding the text without a teacher can often be challenging. How, and where, do you start studying? 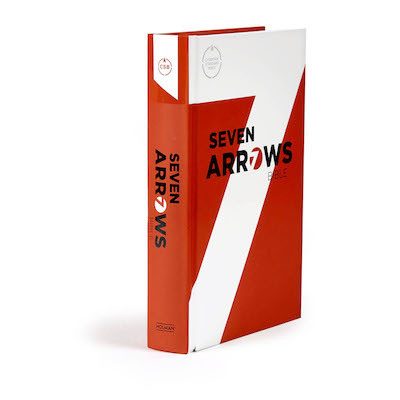 The Seven Arrows Bible Reading Method is a clear, orderly, and memorable guide for studying any passage of Scripture. Using the arrows as a guide, readers will learn to ask and answer questions such as What does this passage tell us about God? How does this passage change the way I relate to people? and How does this passage prompt me to pray? Learn more. The CSB Heart of God Teen Bible guides teens and young adults through Scripture in a way that clearly explains God’s heart—his values, his will, and his purpose in the world. Featuring the clear and accurate CSB translation and containing over 2,600 articles and features to explain the Scriptures, address difficult issues, and explore how God relates to his people today, this Bible provides teens with the tools to get to know God better. Explore features and download a sample at www.HeartOfGodBible.com. 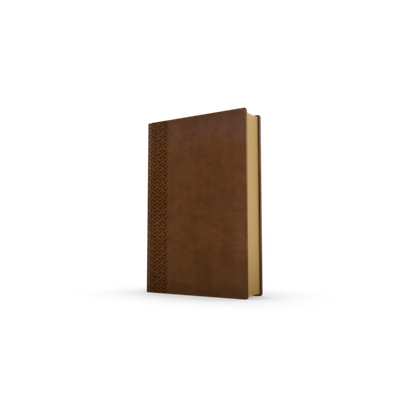 The CSB Fisher of Men Bible is a one-of-a-kind tool that is designed to help you navigate through the Word of God for almost any life situation or topic of conversation. It features a 28-page guide that is divided into six main themes: Counseling, Devotion, Evangelism, Church, Christian Doctrine, and Apologetics. From Christian living topics such as marriage, finances, and forgiveness to spiritual growth topics like apologetics and Christian doctrine, The CSB Fisher of Men Bible guides you to the first verse in a chain of a particular topic. There you will find a brief commentary as well as the second reference verse in the chain. Most chains have 4-5 Bible verses. Learn more or order your copy today. The CSB Everyday Study Bible is an accessible and easy-to-carry study Bible featuring concise study notes crafted from the award-winning Holman Study Bible, as well as features and foundational study helps to help Christians grow in their faith. The convenient Bible size can be easily carried in a backpack, large purse, or brief case to equip readers with a “go-anywhere” study Bible that will foster everyday engagement and practical application of God’s Word. Learn more or buy your copy today. The CSB Rainbow Study Bible features a unique color-coding system that allows readers to quickly and easily identify twelve major themes of Scripture throughout the biblical text: God, discipleship, love, faith, sin, evil, salvation, family, outreach, commandments, history, and prophecy. The Rainbow Study Bible is the No. 1 fully color-coded Bible with more than 3 million combined units sold! Other features include: 12-pages of color maps with index, a Bible reading calendar, Concordance, Subject guide, Outline of Old Testament History, "Where to Find It," "Know What God Says," Table of Weights and Measures, "100 Popular Bible Passages," and "365 Popular Bible Quotations for Memorization and Meditation," and more. The CSB Disciple’s Study Bible guides an individual’s journey in following Jesus, by featuring discipleship themed study notes, as well as tools and resources that equip Christians to disciple others. Included is the Foundations 260 Reading Plan, featuring 260 concise daily readings with commentary from Pastor Robby Gallaty and ample page space to engage the text and journal via the H.E.A.R journaling method (Highlight-Explain-Apply-Respond). With additional articles on discipleship from the team at Replicate Ministries, The Disciple’s Study Bible will help foster engagement and practical application of God’s Word in the life of a disciple on a daily basis. Order your copy today. The HCSB Essential Teen Study Bible won a 2015 Outreach Magazine Award for "Best Resource" with its hundreds of study helps and 146 devotions. 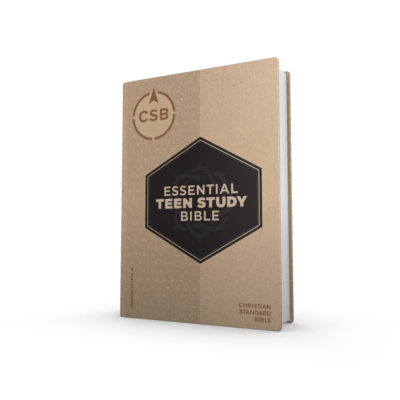 The CSB Essential Teen Study Bible will retain each of those features as well as the complete text of the Christian Standard Bible. See all available editions or order your copy today. In The Study Bible for Women, readers will join a host of other women, all academically trained in the original languages of the Bible and passionate about God’s Word, for a deep dive into Scripture that will equip them to unlock the riches and majesty of God’s Word while igniting a passion to mentor others to do the same. Now available in the CSB. The Apologetics Study Bible for Students uniquely anchors younger Christians in the truths of Scripture by equipping them with thoughtful and practical responses for whenever the core issues of their faith and life are challenged. General Editor Dr. Sean McDowell and a team of 48 contributors created this collection of valuable resources, crafted to answer the top 120 questions asked by today's youth.